The Vltava is the longest river within the Czech Republic, running southeast along the Bohemian Forest and then north across Bohemia, through Český Krumlov, České Budějovice and Prague, and finally merging with the Elbe at Mělník. It is commonly referred to as the "Bohemian sea" and the "Czech national river". Charles Bridge is a historic bridge that crosses the Vltava river in Prague, Czech Republic. Its construction started in 1357 under the auspices of King Charles IV, and finished in the beginning of the 15th century. The bridge replaced the old Judith Bridge built 1158–1172 that had been badly damaged by a flood in 1342. 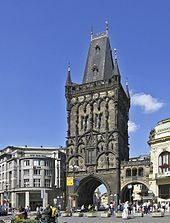 This new bridge was originally called Stone Bridge or Prague Bridge but has been "Charles Bridge" since 1870. As the only means of crossing the river Vltava (Moldau) until 1841, Charles Bridge was the most important connection between Prague Castle and the city's Old Town and adjacent areas. This "solid-land" connection made Prague important as a trade route between Eastern and Western Europe. Malá Strana or more formally Menší Město pražské is a district of the city of Prague, Czech Republic, and one of its most historic regions. The Battle of Vyšehrad was a series of engagements at the start of the Hussite War between Hussite forces and Catholic crusaders sent by Emperor Sigismund. The battle took place at the castle of Vyšehrad from 16 August 1419 to c. 1 November 1420. 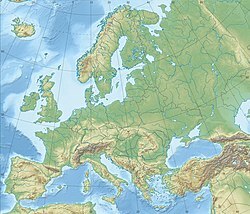 The Central Bohemian Region is an administrative unit of the Czech Republic, located in the central part of its historical region of Bohemia. 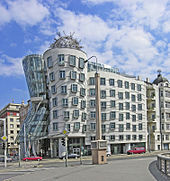 Its administrative centre is in the Czech capital Prague, which lies in the centre of the region. However, the city is not part of it but is a region of its own. Vyšehrad is a historic fort located in the city of Prague, Czech Republic, just over 3 km southeast of Prague Castle, on the right bank of the Vltava River. It was built probably in the 10th century. Situated within the fort is the Basilica of St. Peter and St. Paul, as well as the Vyšehrad Cemetery, containing the remains of many famous people from Czech history, among them Antonín Dvořák, Bedřich Smetana, Karel Čapek, and Alphonse Mucha. It also contains Prague's oldest Rotunda of St. Martin from the 11th century. 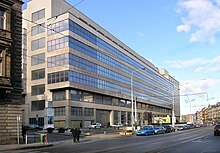 Zbraslav is a municipal district and cadastral area of Prague. 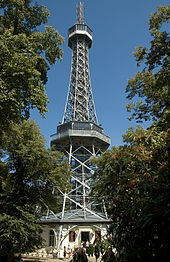 The southernmost district of Prague, it lies on the Vltava River in the national administrative district of Prague 16. The Old Town of Prague is a medieval settlement of Prague, Czech Republic. It was separated from the outside by a semi-circular moat and wall, connected to the Vltava river at both of its ends. The moat is now covered up by the streets Revoluční, Na Příkopě, and Národní—which remain the official boundary of the cadastral community of Old Town. 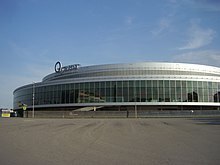 It is now part of Prague 1. 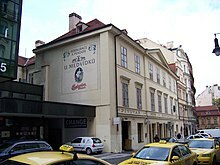 The New Town is a quarter in the city of Prague in the Czech Republic. 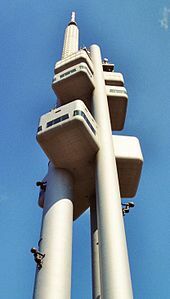 New Town is the youngest and largest of the five independent towns that today comprise the historic center of modern Prague. 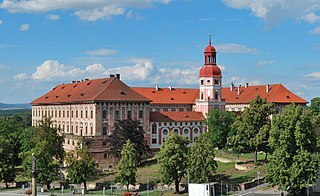 New Town was founded in 1348 by Charles IV just outside the city walls to the east and south of the Old Town and encompassed an area of 7.5 km²; about three times the size of the Old Town. The population of Prague in 1378 was well over 40,000, perhaps as much as twice that, making it the 4th most populated city north of the Alps and, by area, the 3rd largest city in Europe. Although New Town can trace its current layout to its construction in the 14th century, only few churches and administrative buildings from this time survive. There are many secular and educational buildings in New Town, but also especially magnificent gothic and baroque churches. These nevertheless are not the main drawing points for tourists. New Town's most famous landmark is Wenceslas Square, which was originally built as a horsemarket and now functions as a center of commerce and tourism. In the 15th century, the Novoměstská radnice, or New Town Hall, was the site of the first of the three defenestrations of Prague. 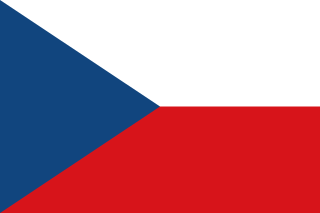 Prague 2, formally the Prague 2 Municipal District, is a second-tier municipality in Prague. 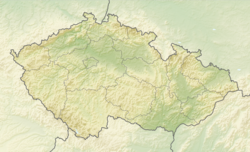 It is co-extensive with the national administrative district of the same name. Roudnice nad Labem is a town on the left bank of the Elbe River. It has a population of approximately 13 500 and covers an area of 16,67 km². The town is situated near the site of Říp, notable for its connection with the legend of Praotec Čech. 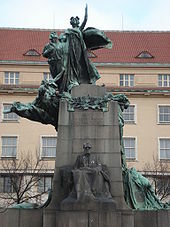 Libuše and Přemysl is an outdoor sculpture by Josef Václav Myslbek made in 1889-1897 for Palacký Bridge. Damaged from American bombing on February 14, 1945, bridge statues were removed in 1948 in connection with the bridge reconstruction and installed at Vyšehradské sady in Vyšehrad, Prague, Czech Republic. 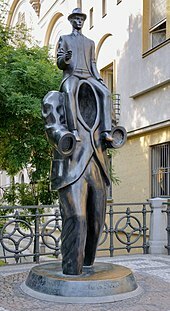 The statue was one at the New Town's side of Vltava and it was heavily damaged and repaired until reinstalled with the other three only in 1977. It depicts Přemysl the Ploughman and Libuše, the mythical Czech rulers settled in the 8th century at Vyšehrad.